Do your nails up right for the holidays! 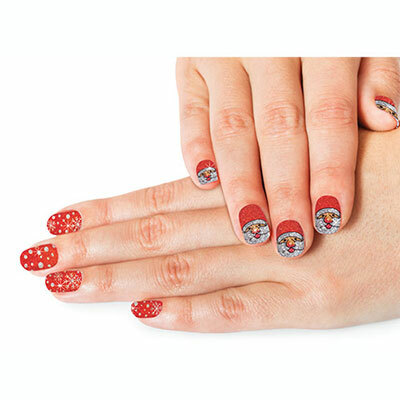 It's easy and fun with these festive Santa Nail Appliqués. Plastic gel wraps are incredibly easy to apply and will last approx. 10-14 days. Just peel off to remove. Set of 14 in assorted sizes.